The foundation is made for the new entryway. The new entryway after the building project. The exterior of the building before construction began. The sanctuary before the expansion. 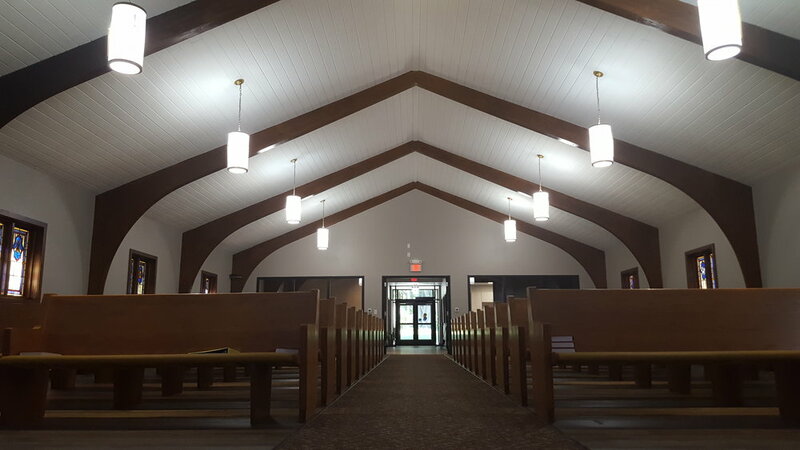 The narthex before the expansion. The narthex before the building project. Church members demolition the narthex. The narthex walls being built. The narthex bathroom being demolished. The Pastor’s study right after the building project completed. This is where the bathroom was. The narthex kitchen after the building project. The kitchen full off snacks for the dedication service! A nook of the narthex before the construction project. 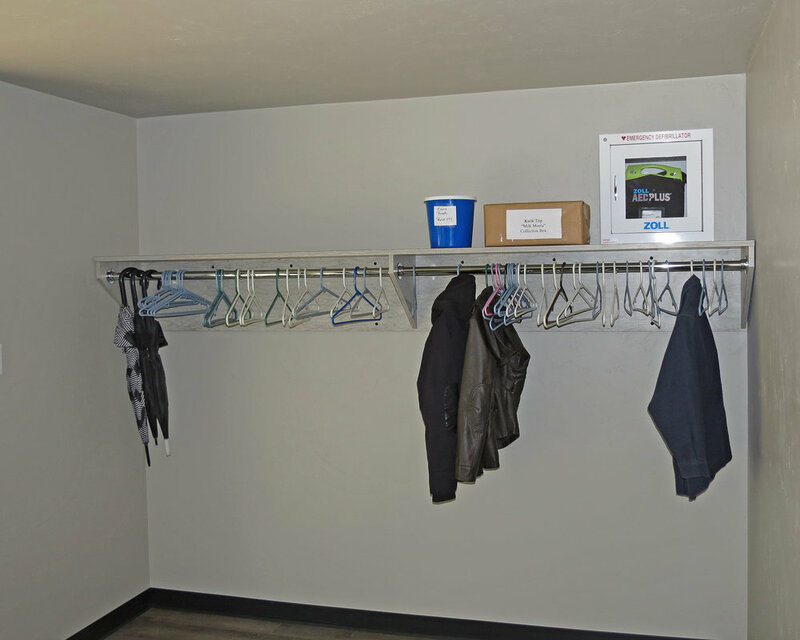 After the building project we have a coat rack where the church mailboxes were. The narthex stairs during demolition. The narthex stairwell right after the project completed. The exterior before the project. The exterior of the church after the project. A shot of the church surrounded from a distance. St. Paul Clintonville in the evening.